What if you could optimize your sales rep’s work routine to ensure they were prospecting effectively, and consistently finding and closing new accounts? You would be able to improve the overall health of your IT staffing firm’s sales funnel dramatically. Your reps are using 40-50% of their time simply figuring out who they are going to call and what they are going to say. That’s time that would be better spent closing new accounts and growing your business. 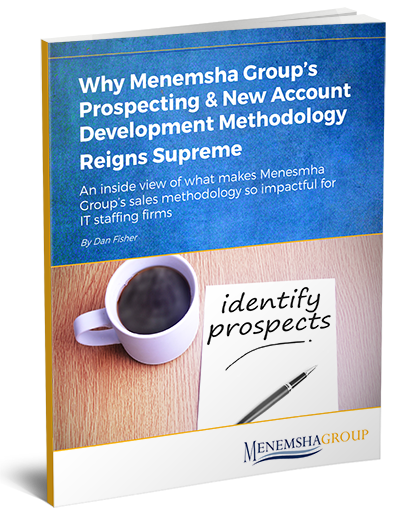 Menemsha’s methodology maximizes your reps’ time, turning average salespeople into top performers. To get this new guide, fill out the form, click the button, and download it.